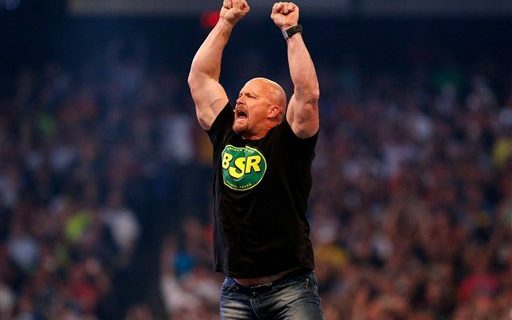 It’s the Stone Cold Locks, Super Bowl Edition. Can our crack staff of pigskin prognosticators nail the last, and biggest game? I really enjoy checking out Super Bowl prop bets. I’ve been known to spend hours reviewing them. However, for about the past 15-years there has been one prop bet in particular that I always make. My theory for this particular bet is based on the fact that, each team wants to get points on their first possession, no matter what. Even though the Rams and Patriots have solid offenses and can score a lot of touchdowns, Super Bowl teams seem to play it a little tight in the beginning, as they don’t want to have a turnover. Three points is better than no points. So my favorite prop bet is that the FIRST score of the GAME will be a field goal (or safety). As I write this, this bet in Vegas is currently +170, which means you can almost double your money if successful. The last time this bet lost for me was when Tom Brady threw an incomplete pass in the end zone on third down, and the Patriots would have kicked a field goal from short range, but a pass interference call in the end zone gave them the ball on the one, and they scored a TD. So Brady owes me one. Good luck and thanks for checking out my NFL picks this year. First you have to great kickers in this game. Greg Zeurlein might be the best kicker in the game. He kicked a 57 yarder to put the Rams in this game. That field goal would have been good from 70. Stephen Gostkowski has made 13 of 18 field goals over 50 yards in recent years. Both coaches have confidence in their kickers and aren’t afraid to try long one’s. Louisville tore UNC apart in UNC a couple of weeks ago. Since UNC has gotten back to their old self. Tar Heels are putting up huge numbers offensively. This is a good revenge spot. I expect them to redeem themselves and hand Louisville a big loss. Bonus pick: Jared Goff over 289.5 passing yards. New England secondary has looked good but they haven’t played a offense with this much fire power. New England will focus on stopping Gurley. I think that the wrong team is favored in this game. All year long the Rams were considered a better team. No one believes that New England can lose two straight Super Bowls. I think they can. The Rams have the formula to beat New England with great pressure up the middle with Donald and Suh. I like the Rams straight up. The Rockets are average. The refs aren’t giving Harden the cheap calls where he throws his off hand out to get the foul. The Rockets are playing a tough Denver team on Friday in the high altitude. Saturday they have to travel to play a tough Utah team. Back-to-back tough games. This is a team that just loss at home to a Anthony Davis-less New Orleans team. Houston is getting tired. Utah is playing some of their best basketball they played all year. The two highest altitude games of the year in Denver and Salt Lake City. Utah gets them on the back end. New England will focus on two things defensively. One is stopping Gurley and the other is not getting beat deep. They can’t take away everything. What this keeps open is the shorter passes over the middle. So I don’t like Brandin Cooks in this game. But I do like Robert Woods, Tyler Higbee and Reynolds to go over in receptions. I’ll pick Reynolds. He has had eleven targets in the first two playoff games. I see him getting six or seven targets in this game so I like him getting at least four receptions.